You may not have known, but we have trained book doctors on staff. Bring your damaged and hurt books to the library and have them treated. 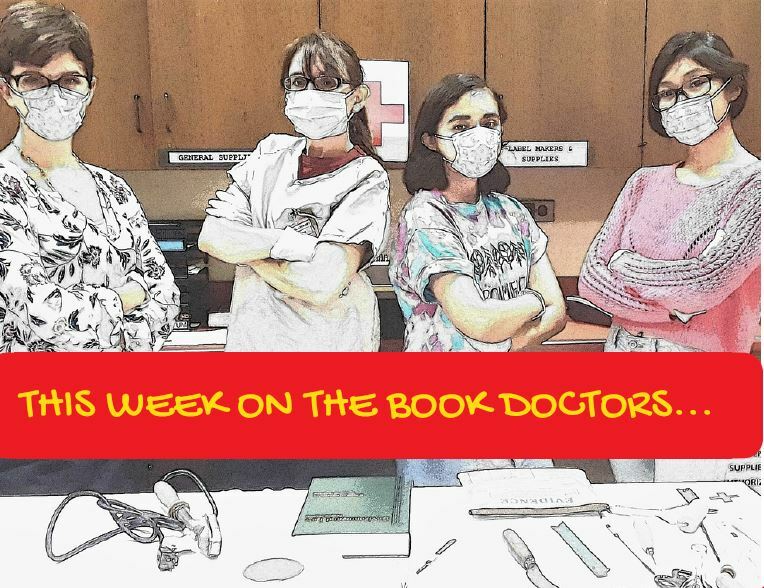 Enjoy our comic giving you a glimpse into a day in the life of a book doctor. In order of appearance in the first cell: Danielle Lewis, Storm Stoker, Alyssa Renteria, Kissandra Blas, and Cat Perez (is also trained as a doctor but just acted in our play). Not pictured but trained as doctors: Katie Kaahanui, Tatum Samson, and Leina Uemura.